Oceania 1 contains 3D plant models and features 20 species from all over Australia and Oceania. 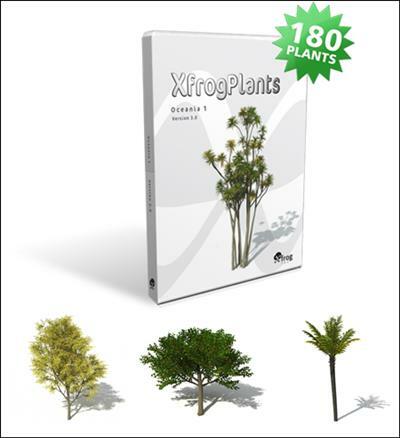 Each plant includes 9 variations in age, size and shape for a total of 180 highly detailed, fully textured 3D models. This set of ages gives enough variety for instancing the models across a virtual terrain: essential for recreating the ecosystems of Australia and Oceania. This library is the first of three unique Oceania libraries and compliments XfrogPlants Oceania 2 and XfrogPlants Oceania 3.